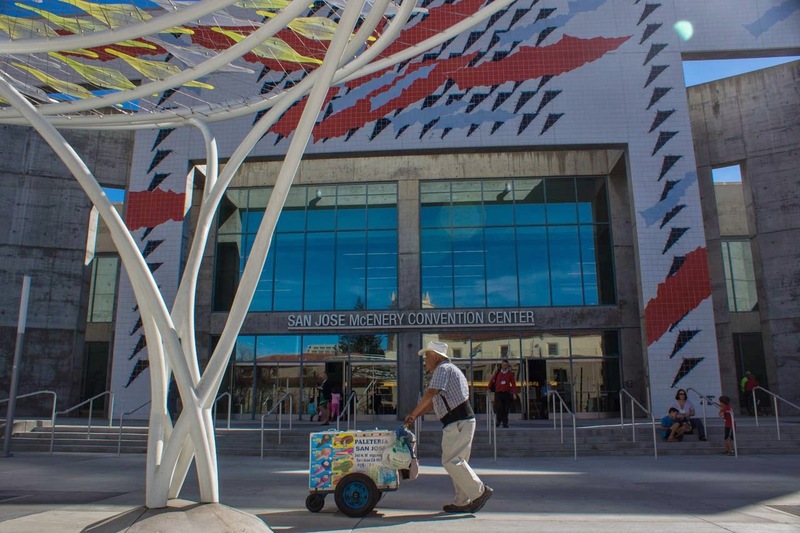 San Jose, California was the place to be for science this week. The American Association for the Advancement of Science held its annual meeting there, featuring talks and lectures and exhibits from across all fields of science. There was even ice cream. On top of presenting the latest research findings, the annual AAAS meeting is big on promoting science communication and education. 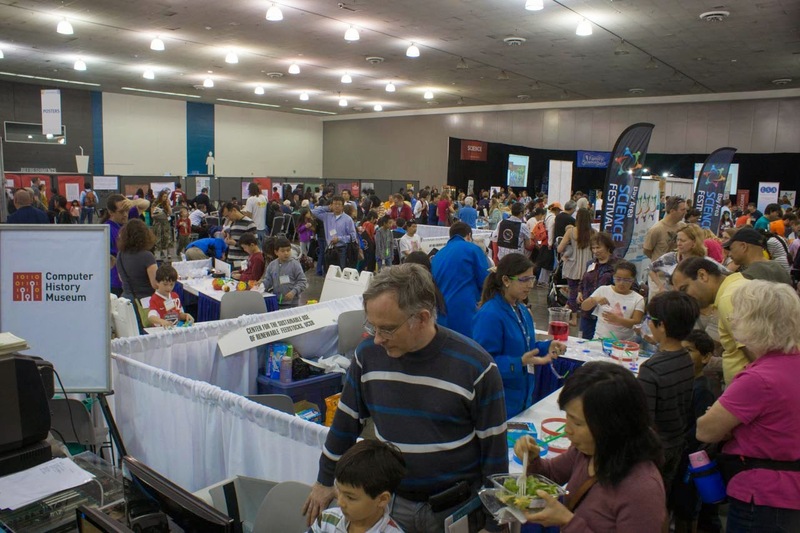 There are dozens of sessions and talks talks on the subject, but the real highlights are its Family Science Days. 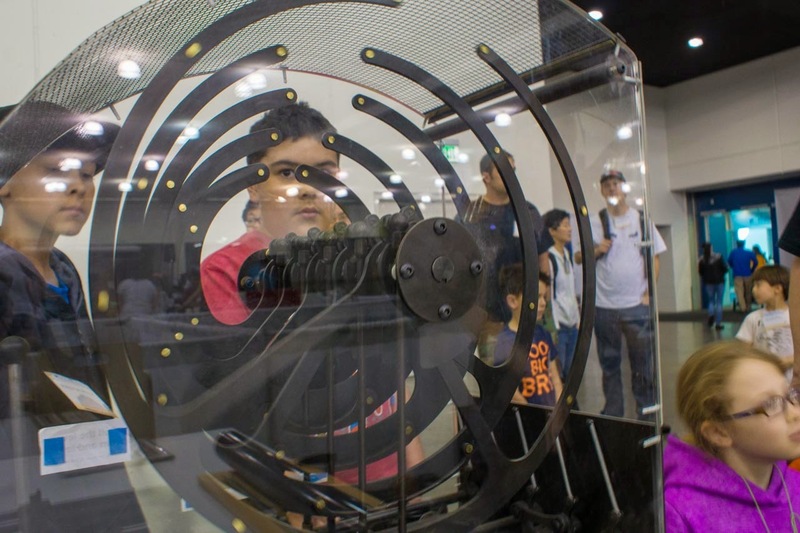 Each year the conference opens its exhibition hall for the public to see the displays and play with the science. Thousands of people show to get their hands dirty and minds blown. There are a ton of really cool demos and exhibits, some of which I'd never seen before. This funky looking contraption is a line of pendulums, each a little bit longer than the last, with big round rings for flair. Each one swings for a different length of time and the longer the arm, the longer the swing. One thing that caught my eye was a green clanking monstrosity that looked like it was built out of an erector set with whirring gears and spinning dials. Turns out it was a computer, well more of an adding machine. 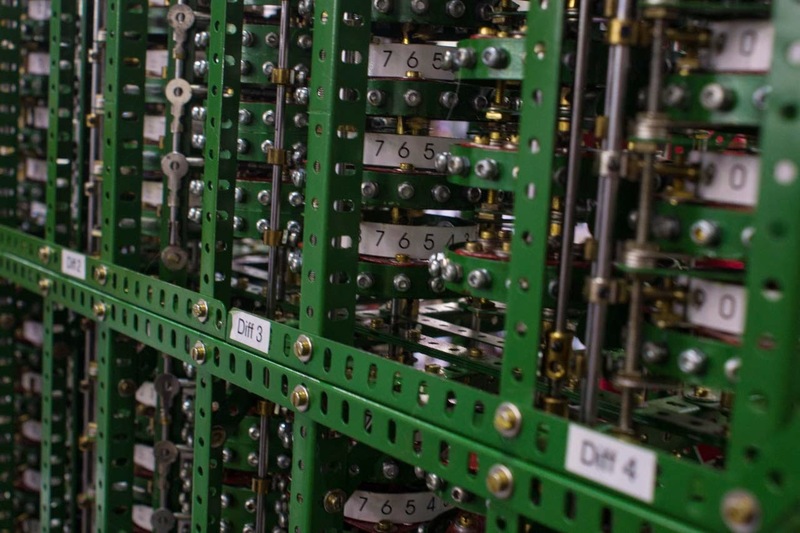 In the 1820s, Charles Babbage designed Difference Engines like these to multiply long and complicated numbers together, but they never made off the paper. It wasn't until 1991 the first operational model was built. It's amazing to think of a computer that operates on steam rather than electrons. 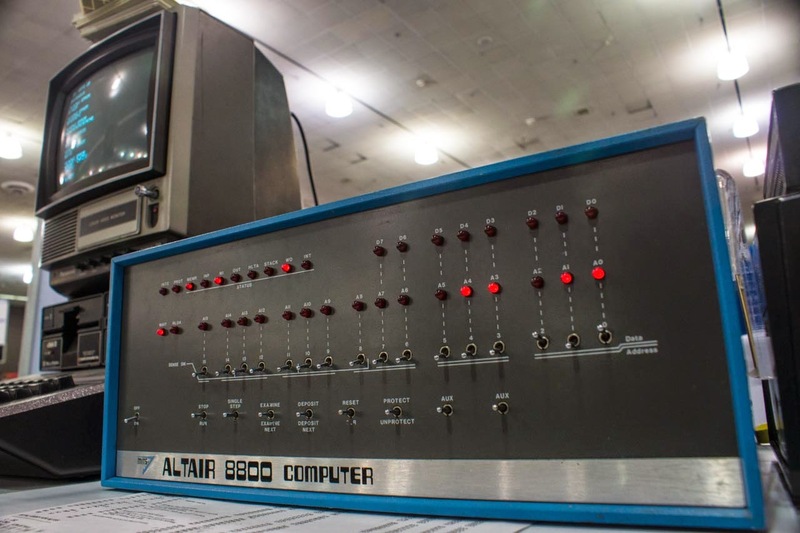 A hundred and fifty years newer but only marginally less obsolete, the Altair 8800 was one of the first computers that people could take home and hack into. Bill Gates had one. Steve Wozniak wanted one, but couldn't afford it, so he built his own. These were the hot item in tech geek circles in 1975, even though it couldn't really do more than multiply numbers together. Still, this piece of history helped spark the computer revolution. In a lot of ways, 3D printing is at the point today where the Altair was when it was new. It's a young technology that people are just starting to be able to bring home and play with, and has the potential to spark a revolution in its tech industry. However instead of crunching numbers, 3D printers use polymers to build objects up one paper-thin layer at a time. It's a really exciting combination of materials science and computing science. 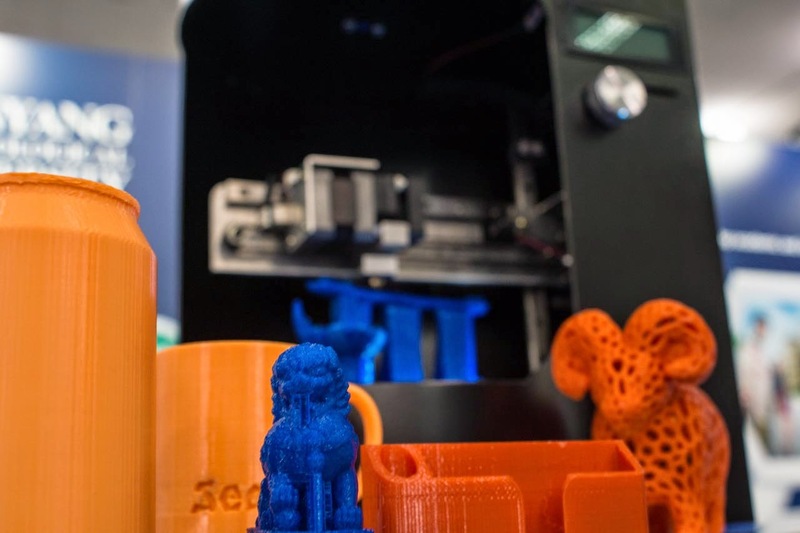 This new model, designed by the Blacksmith Group at Nanyang University in Singapore and debuting at AAAS, not only can print 3D objects, it can make 3D scans as well. NASA has been getting into the 3D printing game too. Right now, a version of this model, built by Made in Space, is spitting out widgets on the International Space Station. 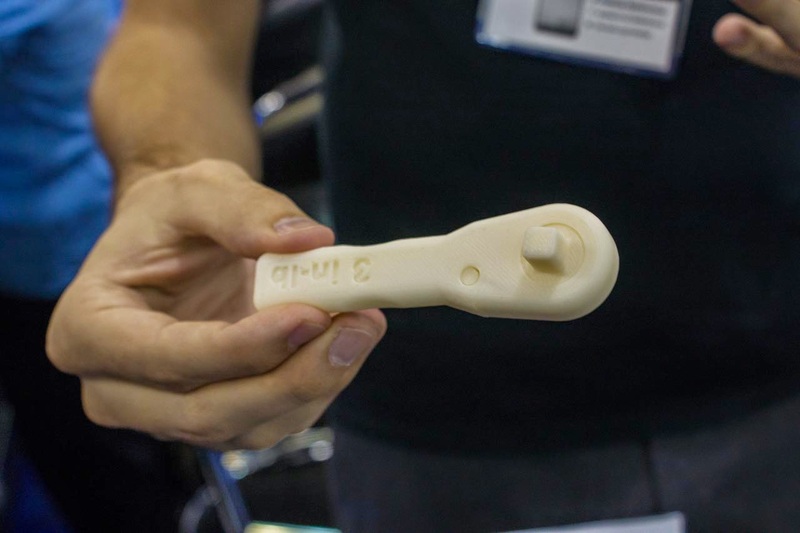 The crew of the ISS printed their own version of this ratcheting wrench in December. 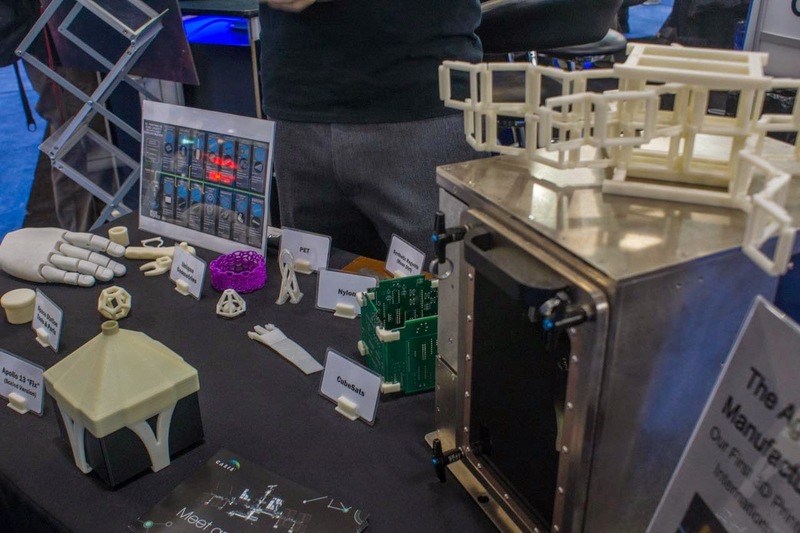 It makes a lot of sense to keep a 3D printer in space for all the times astronauts need something they didn't bring with them. It's easy to beam up designs and it takes up way less room than a full sized machine shop. Microgravity experiments are the space station's specialty. It's unquestionably the best platform for finding out how crystals grow or fluid behaves in a weightless environment. 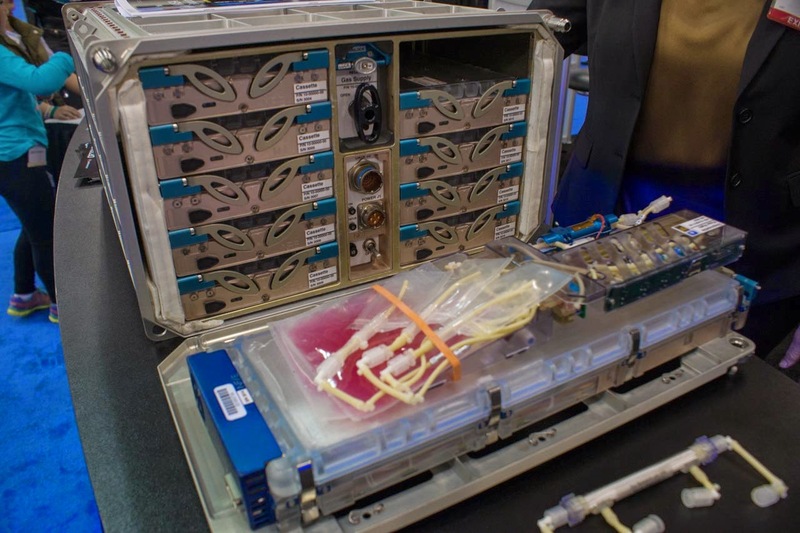 Most of these experiments are launched in tightly packed lockers like this one, which is a system for culturing cells in space. Just as cool as putting experiments in space is sticking them more than two kilometers below the ice at the North Pole. 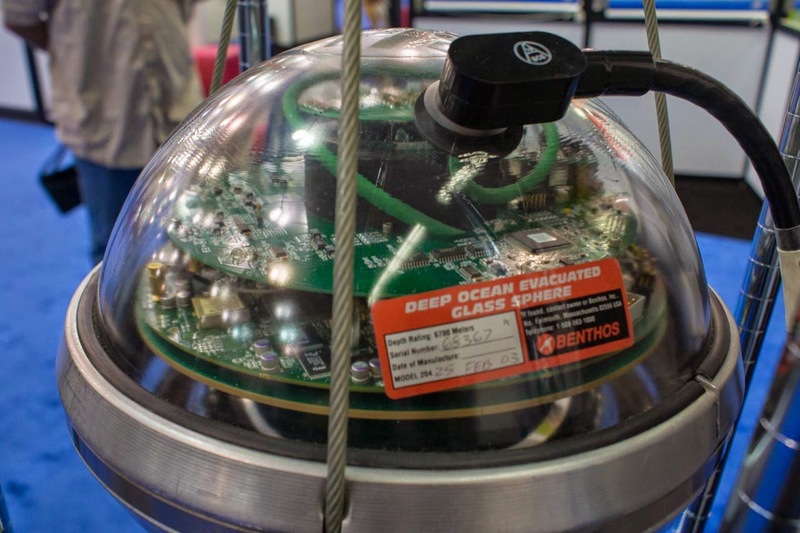 Berkeley National Lab brought a digital optical module, or DOM, from one of my favorite experiments, the IceCube Neutrino Observatory. Right now, hundreds of these are frozen deep in the dark ice at the bottom of the world, watching for the rare flash of light from a neutrino striking a water molecule head on. 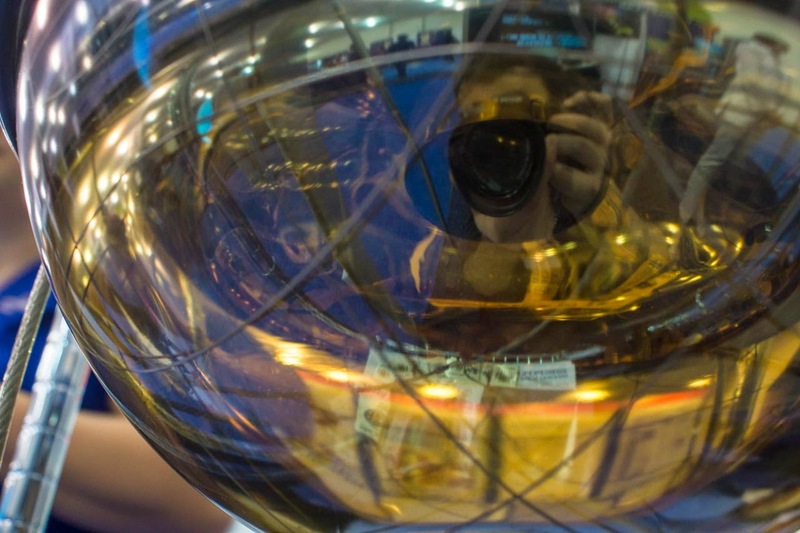 The photomultiplier tube on the underside of the DOM is what actually sees the almost imperceptible flash of light. It has to be buried so far under the ice because otherwise incoming cosmic rays would drown out the faint neutrino signal. I love meetings like AAAS because they're such great opportunities to be able to see these kinds of artifacts and equipment I've read so much about.